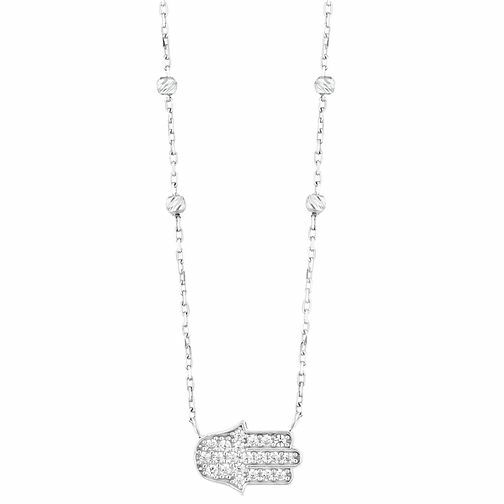 Known as a protective symbol, the hamsa hand is embellished with set Cubic Zirconia crystals, adding a stunning sparkling touch to this silver pendant. A silver chain featuring 4 textured silver ball charms, sets the scene for this gorgeous and glittering piece. Chic and stylish, this pendant is suited to all occasions.